Home » Projects » Drone delivery economics: are Amazon drones economically worth it? Drone delivery economics: are Amazon drones economically worth it? Every day 110 million orders are placed online. 91% of those orders — 100 million of them — are less than 5 pounds. If just 1% of those were delivered by drones, that would be 1 million drone package deliveries per day. That’s according to economic research firm Skylark Services, which is forecasting that the world will see 8 million operations per day within 20 years on the pessimistic end, and as many as 86 million package deliveries per day within 20 years on the optimistic end. For a typical FedEx package that costs $8.50, the ground costs are approximately $2.72, according to Skylark Services. Amazon’s purported cost of last-mile delivery with USPS is $2.50. Hence, $2.50 becomes the benchmark for whether or not drone delivery is economically worth it. 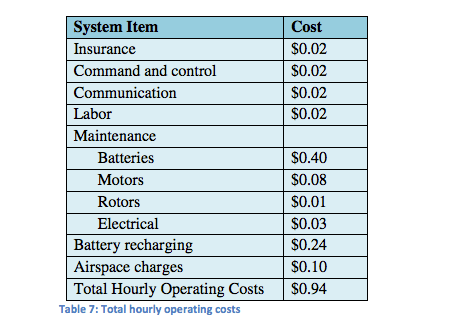 Coupled with the cost of other factors such as insurance and maintenace, Skylark estimates that the average cost of a flight is $0.94 per hour. Then, there are capital costs. would save $0.76 per delivery. Read Skylark’s entire report here. Economically, it could be worth it. But there are more challenges to deliveries than just cost. Flirtey was among the many companies announcing that it was making drone deliveries, when in reality they were a series of one-off flights. Flirtey has logged a series of media-friendly delivery “firsts” including the first-ship-to-shore drone delivery, the first FAA-approved drone delivery to a customer’s home, the first urban drone delivery. A partnership between Flirtey and Domino’s Pizza attempted to create the first-ever drone pizza delivery service, but it can only deliver to buildings within 1 mile of a single store in Whangaparaoa, New Zealand. As of the end of November, it had made four deliveries since the original launch, according to a Domino’s spokesman. Why is it so difficult for companies like Flirtey to do more than just 4 deliveries? 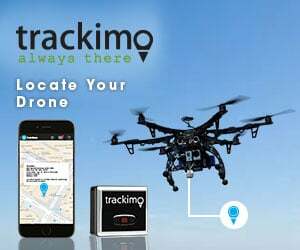 Drone delivery companies in the U.S. face tricky government regulations, including rules that require drones to remain within a pilot’s line of sight and not fly over people who aren’t involved in the commercial flight. There is also the issue of air-traffic control for drones. NASA won’t present its research on drone traffic management to the FAA until 2019. “What type of a system can be scaled to handle this much traffic?” Skylark’s report asks. “Who will manage it? What is the trade-off between automation and human interaction? Who will finance this system? What are the consequences for delivery trucks that currently do last-mile delivery?” Skylark says it will answer those questions in future reports. But at $1.74 per trip, everyone from pizza companies to hospitals might want to not completely throw the idea of drone delivery out the window. To fly continuously, 50 hours per week means the drone is in the air 8 hours a day, 6 days a week, factoring in battery change time. 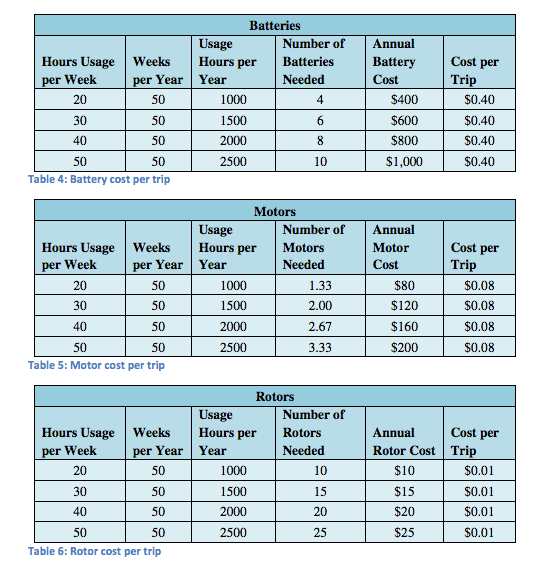 Battery charge time is notoriously slow and further extended by battery cool down time, in addition, it’s likely they will not fly a mission with less than 20 percent capacity on a battery, add all this up, and you can factor in double the batteries you thought were needed. Not sure how this affects the final figures, but what’s becoming clear is that batteries are the limiting factor in most autonomous commercial drone use cases. The idea is proposterous, Quadcopter’s are not ready to deliver 5 pound packages. The strain on the lipo batteries alone, it will not work. Even if you fly FPV you could risk all kinds of hazards, one being motor or electronics failure. Second wind & weather problems. Third bird or other unseen objects hitting the drone. All of which would end your profitable day. Absolutely retarded idea. Aaron is right the weight alone not to mention wind resistance, drag etc. The only way to get the numbers to work, economically, would be to only deliver high priced, low weight products like diamond jewelry for example where its just ounces.